Vineyard Vines Sale to Benefit Nantucket Community Sailing! 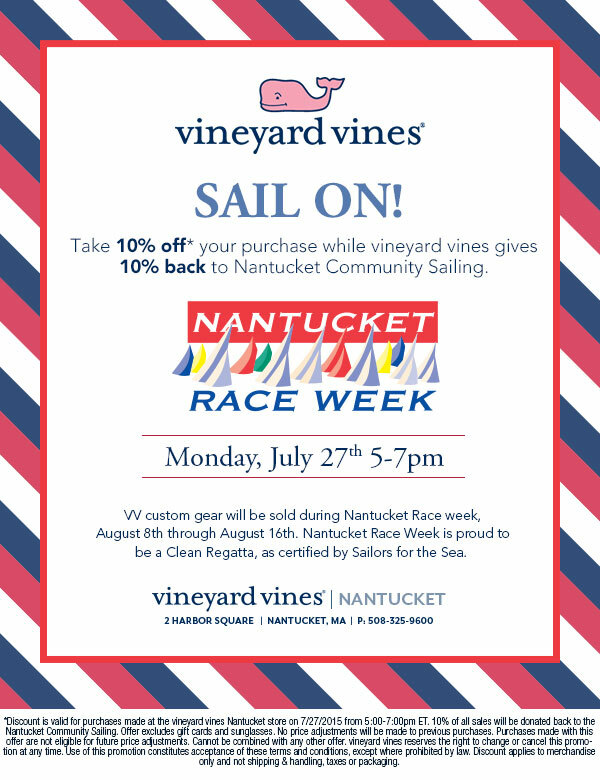 Please join us this coming Monday night, July 27th from 5-7pm at the Nantucket Vineyard Vines store for a sale to benefit Nantucket Community Sailing! Please see details below.